This was a very fun time of my life. McDonald’s helped teach me some responsibility while attending Westlake High School‘s first graduating class in 1980. I loved riding my 1979 Honda Express II moped to work in the fog to open the store for breakfast. 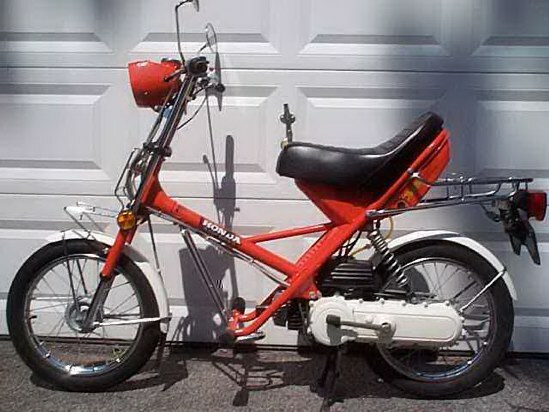 My 1979 Honda Express II was just like this one. I have fond memories of riding mopeds with my friends through Malibu Canyon to Zuma Beach on the weekends. I later earned enough money at McDonald’s to buy my first car, a new 1979 Toyota Celica Liftback. Legendary first baseman Steve Garvey used to frequent this McDonald’s so I’m sure I got to ask him, “Do you want fries with that?” at some point during the Los Angeles Dodgers’ World Series run. We played a lot of touch football and coed softball. In fact we won a championship in both leagues.